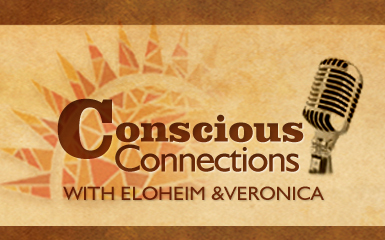 Conscious Connections Our Radio Show! 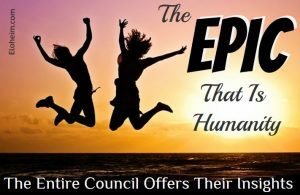 Eloheim and The Council » Conscious Connections Our Radio Show! This was our first Google hangout! It was great! I’m using this format on the first Wednesday of each month at 11:30am Pacific. I will interview various interesting people and channel Eloheim as well. Our first show was an overview of the history of my own spiritual journey, how I connected with Eloheim, what it’s like to channel, and various stories about my experiences in the last 12 years with Eloheim. Mary George shared how she connected with the group and what is has been like assisting Eloheim and me with all of our projects (webcasts, books, etc.) over the years. I channel during that last 30 minutes or so giving Eloheim the chance to share THEIR experiences too. So much great information about bees and some easy ways we can help them! Wow, I learned a lot about Kundalini and moving BIG energy in the body! What a helpful show! I loved talking with Liz Erickson about how we learn! I learned a lot! Eloheim offered great insights to round out the conversation. First time I’ve heard this talked about so openly and in detail! I’ll share it with many. Beautiful, sensitive and informative sharing. Can’t wait to listen to the recording! 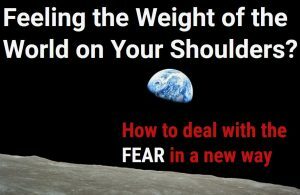 Caught 1/2 of it – will listen to entirety – an excellent discussion! and Eloheim’s feedback – wow! I had the pleasure of joining Awakening Zone Content Manager Jean Tinder last night. Jean asked great questions many of which I had never been asked before! It was a wonderful interview. Use the player below to listen ON DEMAND free! I will be hosting my own show on the first Wednesday of each month at 11:30am Pacific. Hope you can join us! Click here for details. So glad it was recorded- listened to it this morning- great job! !